University of Phoenix College of Doctoral Studies (CDS) was among the most represented of all presenters at The Qualitative Report (TQR) Conference. The 10th annual scholarly event was held at Nova Southeastern University, January 2019. From recommendations to improve the qualitative research process to examples of grounded theory and narratives in school settings to reflections of UOPX Research Methodology Group, for example, presenters were driven by rigor and ready to field many insightful comments and questions from attendees. Hurricanes, Schools, and the Ethics of Care and Community: A Narrative Study of School Leadership by Lane with David Proudfoot, Shaquanah Robinson, Sally Evans, and Belinda Moses. Grit and Spirituality’s Influence on Doctoral Success – To “Mixed” or not: Qualitative Approaches, Quantitative Researchers by Lunthita Duthely, with James Rice, and Diana Hart. The annual conference has grown and has attracted notable scholars including keynotes: Kathryn J. Roulston, Eli Lieber, and Sally St. George and Dan Wulff as well as other seminal qualitative researchers like Johnny Saldaña whose workshops entitled Teaching Qualitative Research Methods Principles through Popular Film Clips and Gaming in the Qualitative Research Methods Studio were among the most widely attended. 2018 Distinguished CDS Faculty and CLSER Fellow LauraAnn Migliore also was on hand supporting Grand Canyon University student Bridget Arena in her works Avatar-Mediated Virtual Learning Experiences and Productive Conflict and Avatar Mediated Self-Determined Learning in an Immersive 3-D Virtual Learning Environment. 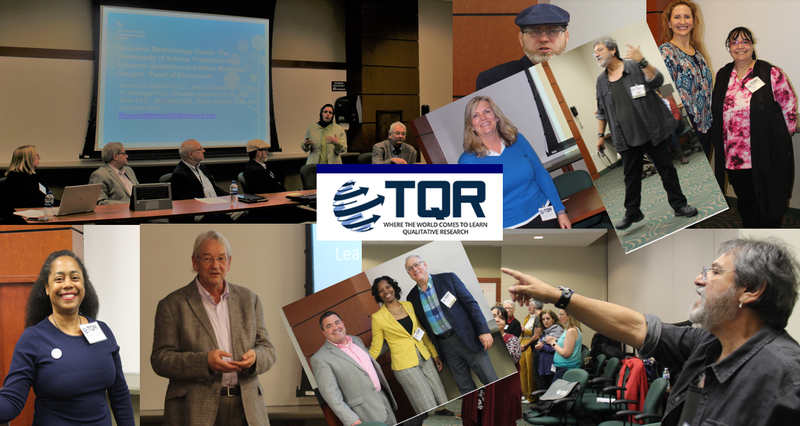 The deadline for proposal submission to the 11th Annual TQR conference held from Jan 15-17th, 2020 is April 30th, 2019.